Twitter is considered to be the next big thing and in my opinion it is the next big thing, After all it has made a huge impact on the blog-o-sphere. Previously, bloggers connected through forums, websites etc, but it is rapidly shifting to twitter. With its immense popularity among online users, twitter has become a really good tool for blog promotion. But the question arises, how can one make the most of this tool and drive maximum traffic to his website, i.e how can one get more retweets. The answer to this problem is pretty simple – just build a quality following. Quality following includes twitter users which are very influential i.e. they get massive amount of retweets each day and they also try take part in conversations (via replies or DMs). The goal is to make these users your followers so that you get more retweets and build a good online presence. In this part, you need to hunt for influential users on twitter. For a newbie, it is difficult to find influential users and he can use certain metrics to judge whether a tweep is influential or not. The oldest form of methodology. A tweep which has more than 1 followers to following ratio is considered to be a good tweep. Higher the ratio, more is the influence of the tweep. This is not a sureshot technique as a lot of twitter users unfollow tweeple to make this ratio high. Twitter had rolled out a feature to make twitter lists of favorite followers. Along with the followers and following count, a count of number of lists a tweep is listed is displayed. This is a very good metric. A quality tweep would have a higher count of lists he is listed in. 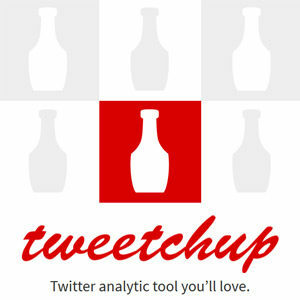 Klout is a website that tracks twitter analytics. It scores twitter users according to their influence. Higher score implies a more influential twitter user. These analytics are very good and authentic and probability of finding a good influential user through this technique is really high. In Mrtweet twitter users can recommend tweeps they like. Tweeps that are getting a lot of recommendations have to be influential. There are many more methods to find influential users, but these are some good ones that I could think of. 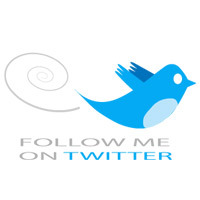 Building a relationship among with influential tweeple is a must if you want to convert them into your loyal followers. It is just like starting a new relation, you need to interact with them first. Use @abc and start introducing yourself to others. Interacting a lot helps in showing that you are interested in what the other user is tweeting and secondly it shows that you are very active. Nothing goes out of your stash if you say thank you. Thank you is a really good gesture and using it to thank people for retweeting improves your reputation. Being personal to your twitter followers makes them feel more connected to you. Use your face as an avatar and don’t hide your details to your followers. Being transparent is like being honest to your followers and it is considered a very good quality. Gautam Hans is a passionate blogger. He is the owner of the Blog Godown which is a blog on Blog Tips and Social Media. He is a social media enthusiast and loves to write about internet and technology. Hey Gautam, I've been on twitter for a while but hardly use it... other than syndicating my blog content to it. My background is SEO, so it always helps to get some good advice, especially as I consider myself a newbie in the world of tweeting. :) Thanks for sharing. 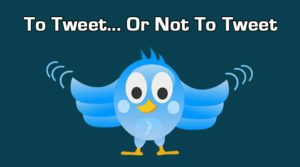 I am using Twitter daily but find it is difficult to get any traction with the marketplace. I do not, and absolutely hate people who just link to sales and promotion. I also hate all the spammy DM's. I do attempt to start conversations via @ but it is slow going at best. Because there is no Instant Chat on Twitter, the relationships take a lot longer to build, and even then you don't know where it's going to go, and at that point, you've invested quite a bit of time, so in the end, I will continue to use Twitter, but do not see an ROI on it. I am still not really wanting to get into twitter, but I find that the more I resist the more I find the need to jump on board. I have my name already but still. I already have enough things to keep up with I really am not interested in adding another. I am deeming twitter a Necessary Evil, and I curse it, lol. Great article. I find Klout as good service but lately I feel I've been leaning further toward Twitter Grader by Hubspot. It keeps current with information and has a good formula set up for the algorithm they're using. I especially like your comment about random acts of kindness. That is always the best way to build a quality reputation. wow Gautam Hans it's great help full tips for increasing valuable twitter follower and in these days many people ask about twitter and want to know how increases twitter follower..a huge thanks for sharing great tips. I need to learn more about twitter because I can follow every twit :D I'd rather using Facebook for a conversation, conversation is one thing I don't get on twitter :( .-= NEW from Latief@AnotherBlogger´s last blog ..Free Wordpress Themes From WPREX =-. Interesting. I use TweetAdder to find interesting people to follow, I target them by keywords. I also follow people I meet online, by reading their blogs, or discussing various topics on forums. When using Twitter I try to be personal, and I try to provide value by asking questions and answering questions. The important part is adding value to conversations and using Twitter as personal communication and not as a mass communication tool. If you're using Twitter in order to send a message to 12,000 people, then I think you'll fail and you won't experience the true value of Twitter. .-= Jens P. Berget´s last blog ..Why Quotes are Important on Twitter =-. I do use MrTweet and I have never heard of Klout so thanks for bringing it to my attention. My truth is I don't have time to converse a lot online and I'm not adept at chat because I'm an introvert. I'm also lacking in whatever it takes to create "value" in 140 characters but I'm pretty good about retweeting. :( I value the followers I do have and they know I do because I tell them so, but I honestly don't foresee a time when I can manage having 1,000's of "personal relationships". thanks. .-= Edwin´s last blog ..How To Browse Blocked Websites =-. I have been so skeptical of twitter. I don't have a fancy phone, so I finally took the leap and just joined with my laptop. I'm still getting the hang of it. But I figure if I can get over 400 friends on facebook, then twitter should be too much more of a jumb, right? .-= Bethany´s last blog ..Tip #9 - Leave the Extra Weight at Home! =-. It is all up to you. If you are good you can see a jump of 1000 followers and that is all dependent on how you handle twitter .-= Gautam Hans @ Blog Godown´s last blog ..Creating Top Quality Blog Reader Relationships =-. I might also add if you do eventually upgrade to a "fancy" phone you will more readily integrate twitter into your everyday life. You can tweet as you think of something and interact in real time. Gautam, great post! Very great post. I have a little problem get alot of followers. I don't want to follow alot of people just to get followers. I guess little by little i get followers :) .-= Kharim´s last blog ..Are You Satisfying Your Readers? =-. Or you can start with 100 very influential followers and then gain 50-100 each day, how does that sound? .-= Gautam Hans @ Blog Godown´s last blog ..5 Tips to Increase Productivity while Blogging =-. That's right bro, following other people is great way to increase some new followers :) thanks for this great post Gautam :P .-= Dev | Technshare´s last blog ..A Video Marketing Blueprint That Will Knock Your Socks Off =-. 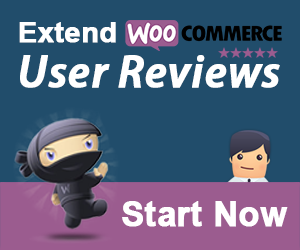 Hi Gautam really very nice guest post you have write here. I am using tweetdeck, but I want a tool to automatic follow people and follow back automatically who follow me, so please inform me one best tool, thanks. .-= chandan´s last blog ..10 Work from Home Money Makers =-. In my opinion, there is no way out or no application that can buy you a twitter reputation. I have seen people having 20,000 followers and getting no retweets. That shows that these autofollow applications do not work that well. .-= Gautam Hans @ Blog Godown´s last blog ..7 Smashing Techniques to Pull Guest Authors to your Blog =-. I agree with utilizing twitter, however, too many people just use it as another spam marketing platform. I am tired of seeing people promote "add value" yet all they do is spam people with promotions for products, or opt in lists. If you are going to build a following take time to reply to people when they message you. start up a conversation, and send people to your blog or website. 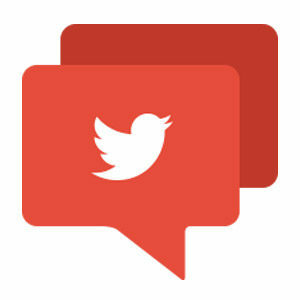 Twitter is a social platform and should not be used to spam affiliate links Great post. keep up the good work. .-= JamesP´s last blog ..Guest Posting Contests Rule the Day =-. I agree, a lot of people on twitter just spam our streams. It is very difficult for them to understand that building followers and quality followers is entirely different. If you are trying to promote your blog, you need to have a quality following on twitter. Besides that conversation is really important to gain feedback and build relationships with readers .-= Gautam Hans @ Blog Godown´s last blog ..Why I won’t follow everyone on Twitter =-. Thanks for the helpful post. I have to admit that I didn't "get" Twitter...until I started my first blog late last year. It has been become a key feeder of readers, plus the main source of my own blog reading. .-= Patrick Klingaman´s last blog ..What is in my hand? =-. Yes, "getting twitter" takes time and you could see its benefits only if you give it a fair trial. .-= gautam hans @ Blog Godown´s last blog ..How to Become a Blogging Idol =-. Twitter is now becoming more important in a bloggers daily life, using it effectively will make sure your blog never remains the same again. Thanks for the great post. .-= Onibalusi Bamidele´s last blog ..10 Great Blogging Tips For You =-. Bamidele, it worked like this for my blog and it has been growing since that day. That time i ws happy to get even 50 visits a day but i now get around 500 visits/ day from twitter and other referers .-= gautam hans @ Blog Godown´s last blog ..How Should You Treat Your Twitter Followers =-. Wow! i checked your twitter account i i see you have over 6000 followers. This is great. Thanks. .-= Onibalusi Bamidele´s last blog ..10 Great Blogging Tips For You =-. yes getting over 6000 followers is easy, just follow the tips above and who knows, you get to the 10000 limit and reach even more followers .-= gautam´s last blog ..Twitter Is Like A Sadie Hawkins Dance – Somebody Has to Follow 1st =-. I will try and do that. 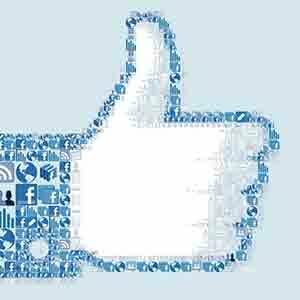 Thanks .-= Onibalusi Bamidele´s last blog ..10 Great Blogging Tips For You =-. I think you nailed the nail on the head when yous aid it all depends on the quality of people following you back on twitter. I have many blogging friend that use twitter and when they see my tweets I normally get a retweet. To be honest I don't think twitter will get any larger. It's seen it's peak day with the celebrity promotions such as Opera and Ellen. Seeing that's all done I'm assuming twitter will now go into a downfall. It will be interesting to see what the next social media marketing platform will become. .-= bbrian017´s last blog ..I’m working on my e-book everyone =-. I don't think it is dead as of now. though google buzz is promising but it needs an overhaul to compete with twitter and that could take some time. Besides that even if you don't follow a celebrity and get retweets from 200 quality followers it could mean the same as a retweet by a celebrity.So go build your quality following .-= gautam hans @ Blog Godown´s last blog ..Top Tips for Finding a Great Content Writer =-. Hey Gautam, I'm finding that I spend more time on Google Buzz these days because of the conversations. I'm still a devout Twitter addict, but I can see that I'm trending towards Buzz. I don't think the follower counts will be as important there (nor will the celebrities). ;) Thanks for the links. .-= Ileane@Blogging´s last blog ..Guest Posting Contest – Will I Be A Winner? =-.